The Indian oil and gas company is interested in the transport of oil and gas from Central Asia and Russia via ambitious pipelines. India’s oil and gas bellwether ONGC wants to tap opportunities in direct transportation of hydrocarbons from Russia and Central Asia to India, its managing director told the Hindu Business Line in an interview. Sarraf added that the company would be “interested in participating in such a pipeline.” He told the Hindu Business Line that the ideal situation would be to have a stake in an exploration and production asset, coupled with a transportation network that would bring fuel to the country. Media reports last month indicated that Russian President Vladimir Putin may propose the extension of a Russia-China gas pipeline to India. 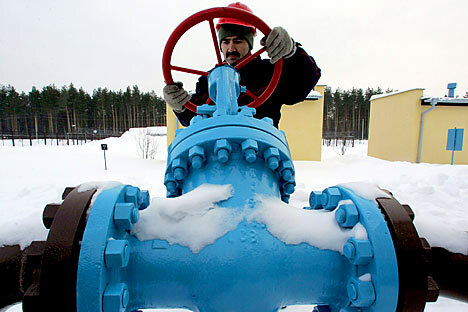 The pipeline from Russia to India via China’s Xinjiang province could cost up to $30 billion, according to the reports, which added that the countries are also considering long-term liquefied natural gas supply and gas-swap deals, if the pipeline does not work out. At the St Petersburg International Economic Forum in May, ONGC’s overseas subsidiary ONGC Videsh Ltd signed a memorandum of understanding with Rosneft for cooperation in exploration, appraisal and hydrocarbon production on Russia’s continental shelf. ONGC has said the memorandum paved the way “for the companies’ cooperation in subsurface surveys, exploration and appraisal activities and hydrocarbons production in Russia’s offshore Arctic.” The company added the parties would jointly consider forming a consortium led by Rosneft and involving other partners. ONGC Videsh Ltd has a 20 percent stake in the lucrative Sakhalin-1 project. Russia is increasingly looking to supply its energy-starved Asian partners as it faces the looming threat of greater sanctions over the Ukraine crisis.